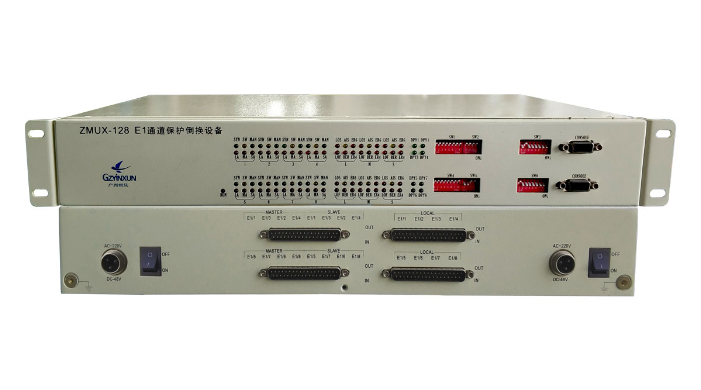 ZMUX-122 is an E1 protection switching device which can automatically switch between one set of E1 signals (lines) with different routes to meet the four E1 lines to protect two important E1 lines transmission. ZMUX-122 can provide 2channel master E1 interfaces, 2channel spare E1 interfaces, and 2channel important user E1 interfaces. It can access two grounds different routes of E1 signal to protect 2channel important E1 signals. * support DC-48V or AC220V power supply, or dual power input 1+1 protection.